In recent years, the lack of state and national funding of our local schools has forced many important programs to be shut down or minimized throughout our District. “Sustainability” is our motto at the Glendale Educational Foundation as we work with the many facets of our community to bridge the funding gap. 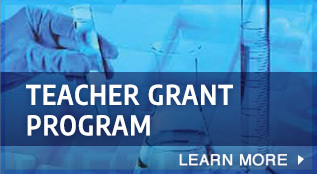 The Teacher Grant Program provides much needed financial support for the classroom that directly benefits our students. The program enriches and enhances learning environments in GUSD classrooms by supporting innovative curriculum and instructional practices. Your financial support enriches the lives of every student in every school. We are proud to say that we offer the resources that our students need to stay on the cutting edge of learning, preparing them for the future. GEF has been bridging the gap since 2005. Throughout the year, GEF hosts two exciting events that create opportunities for giving. They are the State of the Schools Breakfast and our Disco and Diamonds Gala. Another exciting component we offer is our GEF Endowment Fund, which is an investment in our future. The Glendale Unified School District includes Glendale, La Crescenta, Montrose and part of La Canada-Flintridge. Our educational foundation supports a dynamic District that is rich in cultural diversity and is recognized as a leader in dual immersion language programs. We boast 26 schools that have been honored as California Distinguished Schools, nine of them receiving national Blue Ribbon Status.